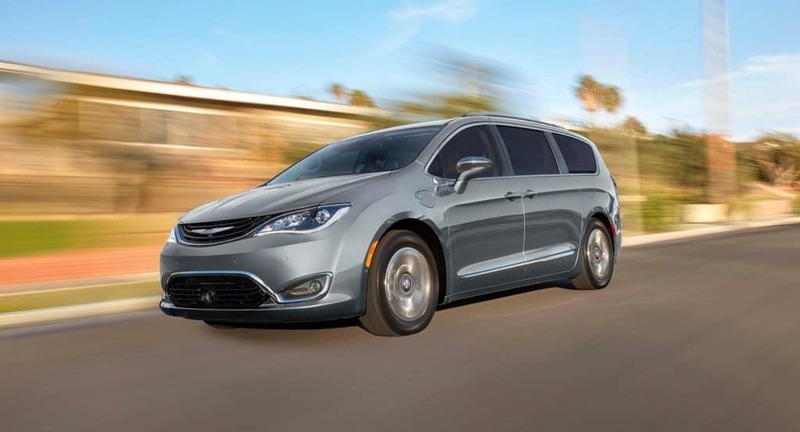 When it comes to the exterior of the 2018 Chrysler Pacifica Hybrid, you will love the sleek lines and smart features that make it easier to get in and out of your vehicle. When your hands are full, it is as easy as resting your foot under the door for a moment with your key fob in tow and the side door will automatically open for you. This vehicle also comes with a whole wheel of colors to let you express your personality and style. To choose which model is right for you stop in to Antioch Jeep near Gurnee IL and drive one for yourself.